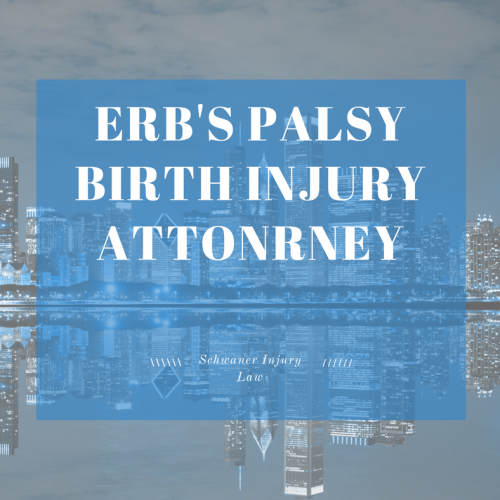 Urgent: A chicago Erb’s Palsy lawyer can help if your child received Erb’s Palsy due to medical negligence. Erb’s Palsy, named for Wilhelm Erb, the doctor who first recognized and described the condition, is an injury caused as a result of brachial plexus nerve damage during birth. The brachial plexus is a network of nerves that sends singles from the spinal cord to the shoulders, arms and hands. Erb’s Palsy is most often the result of injury that occurs when those nerves are stretched, ruptured or severed during birth. How Does Erb’s Palsy Happen? What Causes Erb’s Palsy? Ohio newborn Amari Bumpus was not breathing when she was born following a difficult labor that found her stuck in the birth canal for a period of time. After she was resuscitated, her parents were so relieved that their baby had survived the birth that they didn’t initially notice that her left arm wasn’t moving, while her right arm was. When they did notice, Amari’s pediatricians compared it to a sports-related nerve injury, and told them that it would heal on its own over time. When that didn’t happen, her parents sought a second opinion. Can You Sue for Erb’s Palsy? Does Erb’s Palsy Qualify for Disability? What Are the Risk Factors Associated with Erb’s Palsy? When is Erb’s Palsy Considered Medical Malpractice? They soon learned that in addition to having her air flow cut off at some point during her birth, Amari also suffered damage to the brachial plexus nerve network, which is caused when the neck muscles are stretched or torn during birth, damaging the delicate nerves that control arm movement. 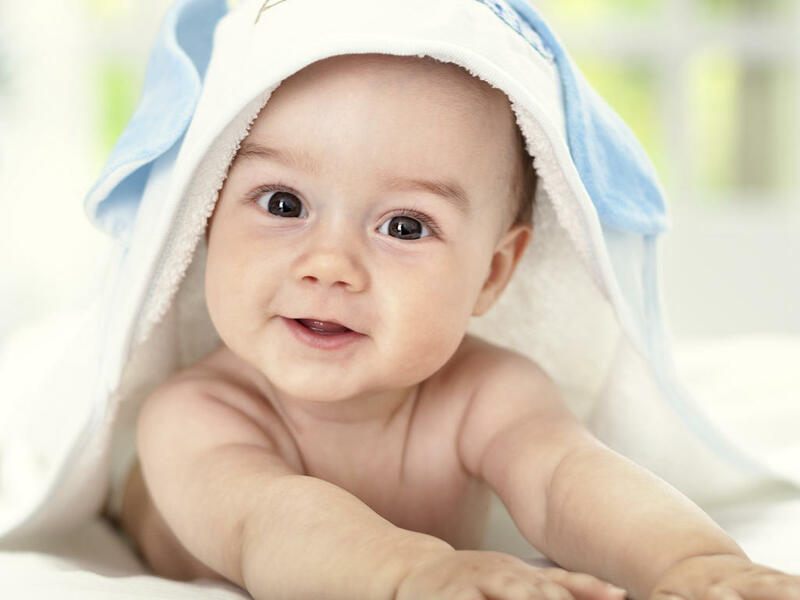 The birth injury is fairly common – one or two out of 1,000 babies in the United States suffer from Erb’s Palsy – which occurs when the brachial plexus nerves are injured. When arms are raised during a breech, or feet-first, delivery, putting pressure on the nerves. The nerves in the brachial plexus control both movement and feeling in a baby’s arms, hands and fingers, leading to loss of motor control, paralysis, loss of sensory control and uncontrollable spasms that can impact the arm, wrist, hand and fingers or the entire arm itself. There are four types of nerve injuries associated with Erb’s Palsy, and what type of nerve injury will determine the severity of the damage and the chances of recovery. Neurapraxia. This is the most common type of nerve injury associated with Erb’s Palsy. The nerve along the neck is stretched but not torn, and results in a burning sensation that is common for athletes. Called stingers – which Amari’s parents originally were told her daughter’s injury was – any loss of movement or motor control generally heals without intervention within three months. Neuroma. While a neuroma nerve injury is also a stretch rather than a tear, the damage causes scar tissue to form as nerve fibers heal. That scar tissue can then put pressure on the surrounding healthy nerves, impacting the recovery. Ruptures. Ruptures occur when the nerve itself is torn. Ruptures won’t heal on their own, and require surgery, usually to graft a nerve from another part of the infant’s body to the damaged area. This is the injury Amari suffered. Avulsions. The most serious of Erb’s Palsy injuries, avulsions occur when the nerve is torn away from the spinal cord. The only way this serious injury can be repaired is to graft a nerve from another muscle, but the repair will result in the restoration of only some arm function. Depending on the severity of the injury, there are several different treatment options for Erb’s Palsy. Massage. Massage can help ease the pressure caused by scar tissue, improving the condition. Physical therapy. When brachial plexus nerve injuries are mild, physical therapy to improve range of motion and prevent muscle atrophy can lead to a successful recovery. Surgery. If surgery is believed to be the best option, it should be done within the first three to six months following the birth, because older infants tend to have less successful outcomes. When her daughter’s symptoms hadn’t improved within a month, Amari’s mother, Nicole, discussed the problem with her pediatrician, who referred her to an occupational therapist, who also recommended the Brachial Plexus Center at Cincinnati Children’s Hospital Medical Center, where Amari was diagnosed with a case of Erb’s Palsy serious enough to require surgery to repair damaged nerves. At three months old – halfway to the six-month mark when surgery is less successful because of muscle atrophy – Amari had surgery to treat her condition, which had frozen her arm and hand in an abnormal positon. To repair it, healthy nerves were transferred to the damaged ones to trigger nerve regrowth and restore bicep and elbow function. Although Amari’s arm function is not fully restored, “The change from where she was with only hand function to what she can do today is phenomenal,” her doctors said. Yes, you can sue for Erb’s Palsy if the injuries sustained were the result of medical negligence. 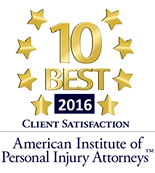 Erb’s Palsy lawsuit settlements can be substantial due to the terrible injuries sustained and extremely high incurred medical costs. When doctors perform improper techniques this can result in Erb’s palsy and they can be held accountable for the misconduct. You may qualify for financial support if your child suffered Erb’s Palsy. Since Erb’s Palsy can result in costs from birth injuries, the baby’s delivery, and other expenses like medication, physical therapy, and ongoing treatment. There is social security assistance, charities and foundations and grants you can use. In addition, if your erb’s pasly was the result of a medical professionals negligence, you may be entitled to compensation. Erb’s Palsy is almost three times as likely in cases of shoulder dystocia, which occur when the baby’s shoulders have trouble passing through the birth canal, putting pressure on the neck. The use of forceps or vacuum extraction during delivery. Natural childbirth in women with smaller birth canals. Excessive weight gain during pregnancy. If your infant shows weakness in one arm, favors the arm, holds the arm bent at the elbow or cannot move the arm, Erb’s Palsy could be the cause. Other signs include a weaker grip with the hand on the affected side as well as loss of both motor and sensory function. If your child shows any of these signs, get in touch with our Erbs Palsy injury lawyer who can help. We are conveniently located in Chicago. While most children with Erb’s Palsy, about 80 percent, recover fully, some children can suffer long-term complications. The inability to participate in team sports or perform other activities due to lack of muscle function. Psychological problems associated with low self-esteem as well as anger and frustration at not being able to perform tasks that their peers can easily manage. The permanent loss of arm function or involuntary muscle contractions, which can have a lifelong impact on quality of life. Many cases of Erb’s palsy are preventable, and occur solely as a result of negligence on the part of health care providers. Failure to properly estimate a baby’s weight, causing the baby to have trouble exiting the birth canal. Failure to properly measure a baby’s shoulders to determine if they will fit through the birth canal. Failure to recommend a Cesarean section if shoulder dystocia is a risk. Using excessive force, especially with forceps or vacuum extraction devices, if shoulder dystocia does occur during a vaginal delivery.